Dennis joined Business Acquisitions, Ltd. in 2014 as a Merger and Acquisition Specialist with a diverse business background that incorporates entrepreneurial, financial and marketing expertise. 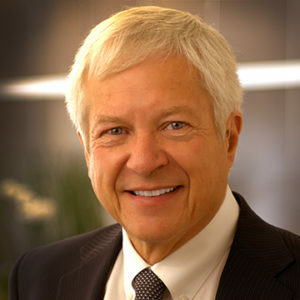 From 1996 to 2014, Dennis was Executive Vice-President at International Business Group, Ltd., Denver (IBG) selling privately held companies. He has over 23 years of transactional proficiency in market preparation, deal structuring and negotiations, due diligence requirements management, and coordination of critical advisors for the completion of a successful transaction. Dennis has expertise in numerous business sectors including business-to-business, direct to consumer, value-added distribution, manufacturing and wholesale. His industry experience includes oilfield services, employment agencies, proprietary products manufacturing, IT consulting and services, housing and commercial construction services, and industry parts distribution. He has a special emphasis on the engineering/professional business services and plant /landscaping verticals. He started his career with KPMG Peat Marwick as a public accountant. He later became the controller for a subsidiary of the Phelps Dodge company, a Fortune 100 company, where he was responsible for all accounting facets of the oil and gas division. His direct entrepreneurial experience includes founding several Denver ventures including an oil and gas exploration and development company, which he successfully took public, and an advertising company. Dennis focuses on bringing integrity and honesty into each transaction. His approach is to understand and negotiate the objectives of each client. Dennis has a B.S. degree from Metropolitan State University of Denver and an MBA from the Daniels College of Business at the University of Denver. He is licensed with the Colorado Real Estate Commission. He is a “Colorado native from Wichita” and has been a Denver resident since 1957. He enjoys golf, lap swimming, hiking, traveling and inner spiritual expression in nature and through meditation.